Início » Workshop on Professionalization for Graduate Students. Workshop on Professionalization for Graduate Students. This workshop will include sessions on publishing, CVs, applying for grants, applying for post-doctoral positions and equality and diversity within the profession. -Público alvo: estudantes pós-graduação, de doutorado e pós-doutorado. 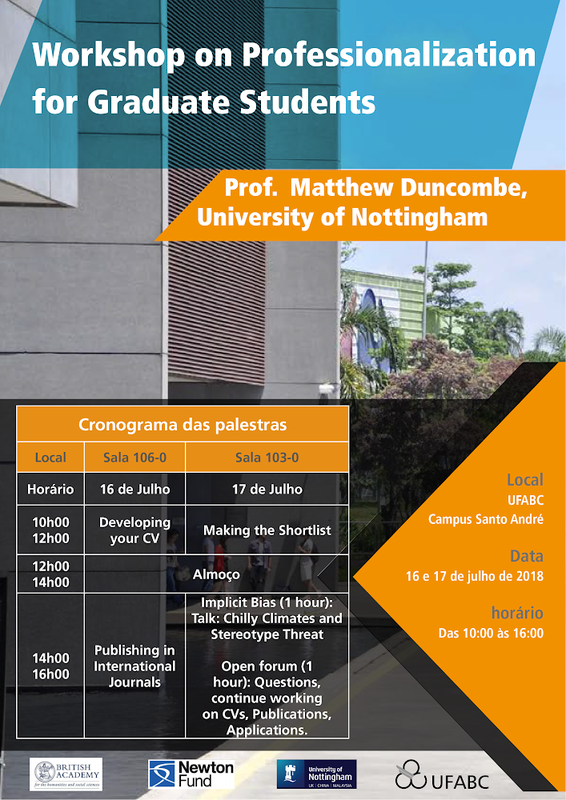 -Inscrição: preenchimento e envio do formulário http://ufabc.net.br/workshopnottingham.